Ohhhhhh, baguettes… a reminder of the simple life… with the best French wine and cheese, of course! If you’re new to baking bread, please do refer to my comprehensive explanation (step by step with photos) here. 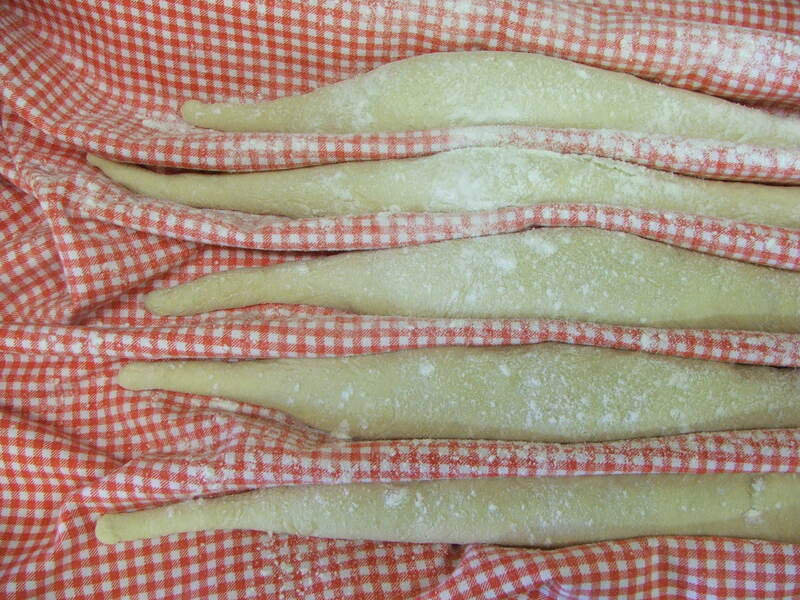 Knead the dough (by pulling it away and up towards you and then SLAPPING it down again onto the surface …until such time as it becomes less sticky and gains a silky texture)… be patient… carry on working it… it WILL change from sticky to smooth! Once the dough has doubled in size, it’s ready to be shaped! PS. This bread is also great with nothing more than butter and honey. In which case forget the wine and have a cup of tea! Next postI think I’m losing my muffins! Interestingly enough, the kneading seems to be easier if you double the quantities! Or is that just me? You’ll get one large loaf or two smaller loaves out of this recipe. … put this post on your front page so i don’t have to keep going deep sea diving to find it. Any minute now I am going to write the damned thing down and deprive you of hits! Great writing, been after something like that!